Frankie loves reading, surfing, dancing, puppies and lots of sports. His favourite time of the year is summer – he doesn’t like the cold very much! His favourite colour is blue and he absolutely loves his hi-tops – he never takes them off! Frankie gets frustrated when things don’t happen as quickly as he’d like or in the way that he wants them to. He has loads of energy, sometimes too much, which gets him into trouble every now and then. 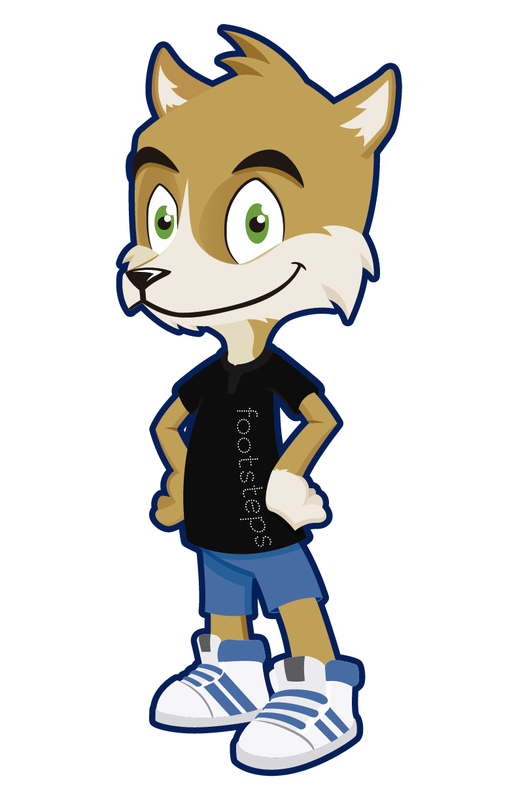 He’s unlike all the other foxes as he has one white hand and no tail! He doesn’t mind though, he likes to be different. More than an adorable toy, Frankie will be utilised in our junior primary courses to help students face their fears, understand and manage their emotions, practice communication skills and understand that we are all wonderfully unique. Frankie will be used as an engagement tool, support for students who require that little ‘push’, and a tool for discussing difficult emotions through character education. Frankie will undoubtedly be an engaging inclusion to our future programs and we hope you enjoy everything he adds to your lessons.